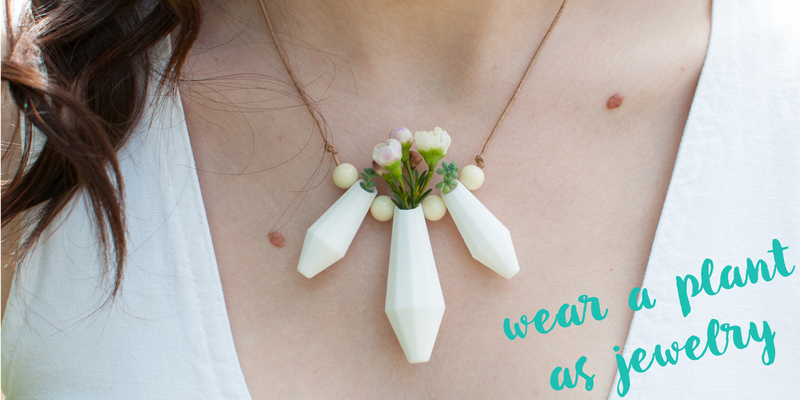 Want to carry your favorite plant close to your heart? Consider a 3D printed planter. 3D printing is everywhere these days. 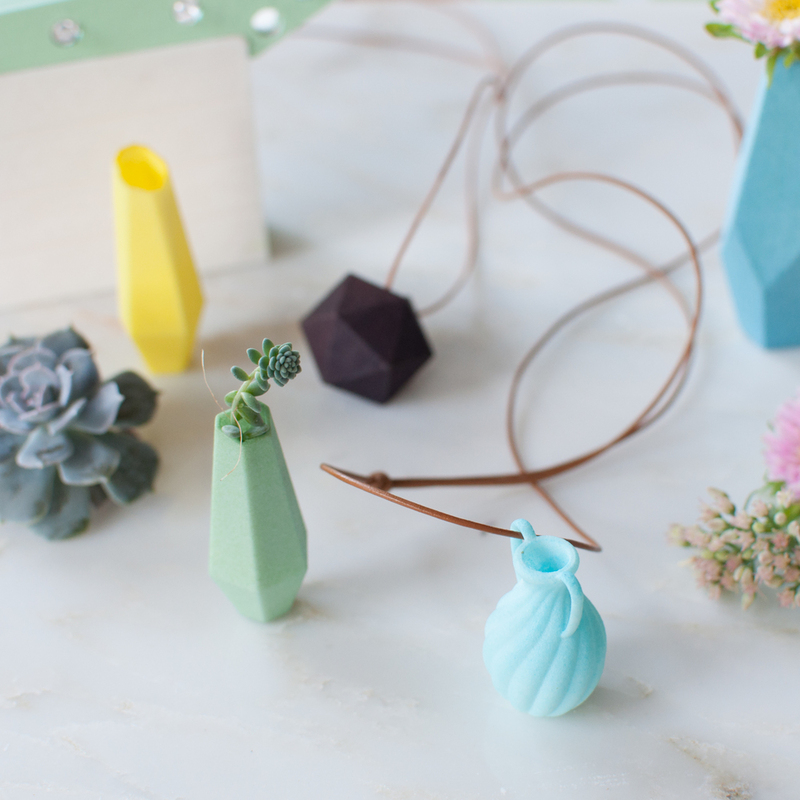 This emerging manufacturing technology shows what it’s capable of with these adorable wearable planters that range from necklaces and rings to little bike mounts. 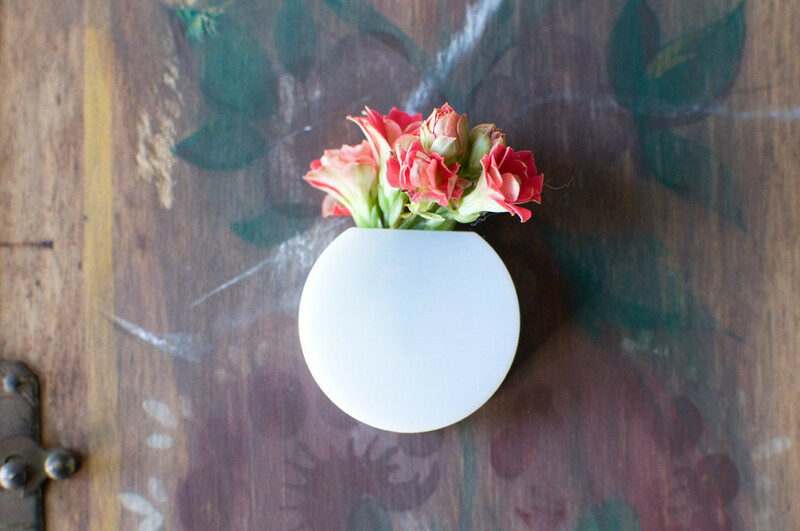 Your favorite tiny plants go wherever you go! 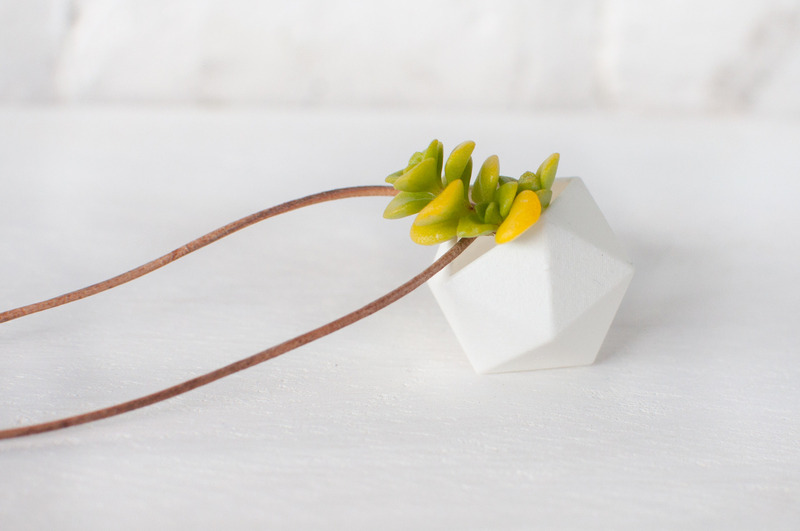 Wearable Planters, a design studio in Atlanta, was launched in 2011 to get people to “appreciate nature a little more.” Their surprisingly affordable “jewelry for green thumbs” includes this Icosahedron Wearable Planter in White ($37, see image above). It’s crafted from 3D printed acrylic. There are also little bike planters and rings. 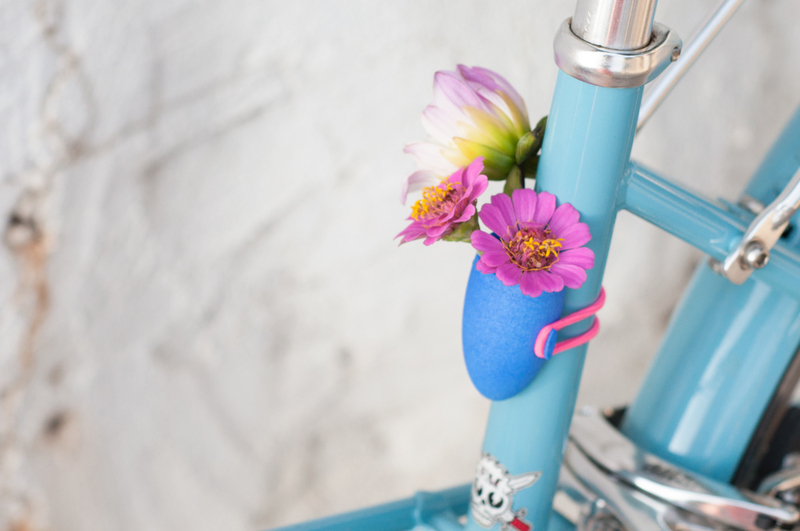 The bike planter (prices vary) works with potted plants, air plants and picked flowers and attaches with elastic. 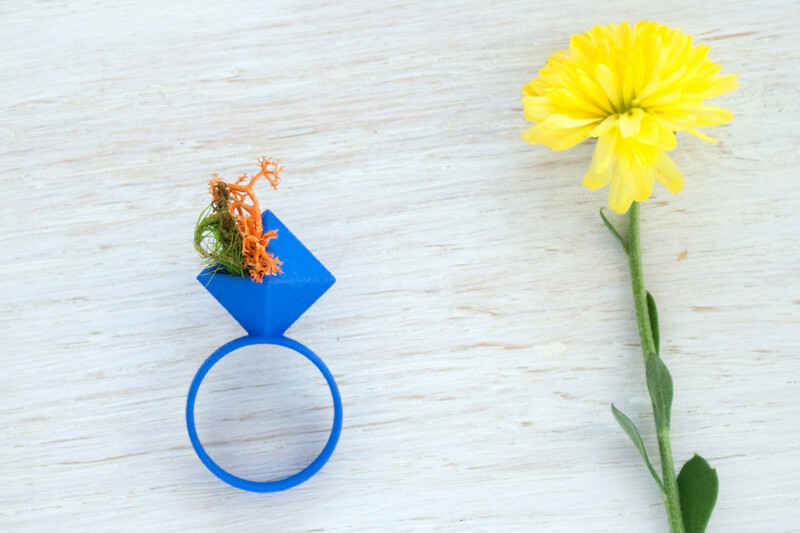 The rings (from $20) start out as digital designs made with Selective Laser Sintering and are constructed in one piece via 3D printing. They are hand-dyed. Sizes are regular U.S. ring sizes, 5-10. Note that your order cannot include actual plants due to local and international laws prohibiting the sale of plants in this manner. Consider getting the Seed Bomb, featuring annuals and perennials including the wildflowers Calendula, Cornflower, Siberian Wallflower, Garland Daisy, Wild Cosmos, Rocket Larkspur, California Poppy, Baby’s Breath, Snapdragon and more. On their website you can find thorough instructions on how to get started and take care of your wee plants.